DRIVEN by the need for digital transformation in both public and private sectors in Myanmar, Microsoft Corporation, a US technology giant, is confident of rapid growth in the country, according to Sonia Bashir Kabir, managing director of Microsoft for Bangladesh, Myanmar, Nepal, Bhutan and Laos. 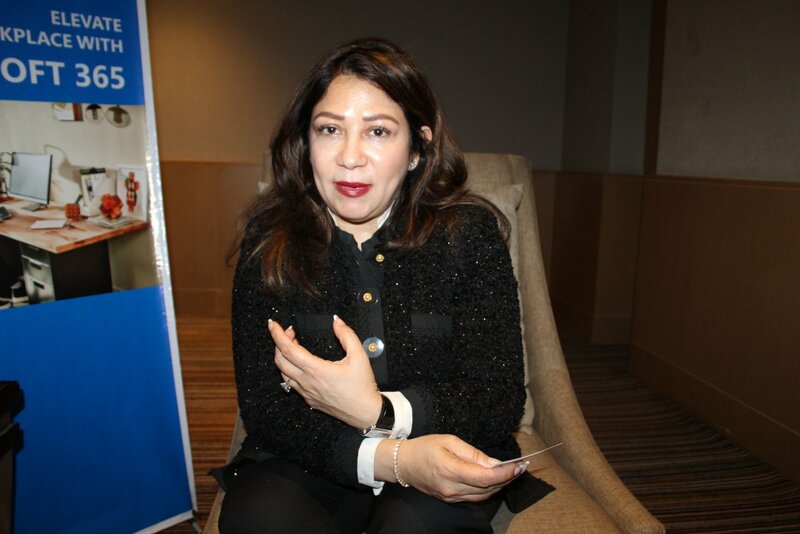 “Myanmar is an important market for us because we have witnessed the technology adoption here which is much faster than some of the other countries I manage,” she said. According to the executive, a lot of big players in the banking and construction sectors have been using Microsoft’s products and offerings, and education, health and agriculture are the most promising sectors that will drive the company’s growth in Myanmar. “We are actually very encouraging to see how companies in Myanmar are willing to embrace the digital transformation journey with us. We are seeing a lot of interest, and are very excited about what we see here,” she said. “I am very pleasantly surprised and happy to see how Myanmar is embracing technology. We have big companies as our customers. We have banks, we have the government, and we have groups of companies that are all engaged with Microsoft on digital transformation,” she said. This week, the company officially launched its Microsoft 365 (M365), a cloud offering service combining licences for Office 365, Windows 10 and Enterprise Mobility and Security to deliver a cost-effective, more convenient solution for businesses. By enabling the turnkey solutions in their workplaces, businesses in Myanmar can enable their employees to be more creative, efficient, productive and collaborative in a secure environment, she said. “Previously, we had a strategy of enforcing copyright, going after those who are not using licensed softwares. But, we have changed our strategy. We are no longer worried about piracy, as businesses come to realise that investing in digital [platform] leads them to an increase in productivity,” she said. “We have put our presence legally in Myanmar, and will continue growing. Employment grows when business grows. We hope to expand here as our business becomes progressive,” she said.